As you probably are aware, Texas Hold 'Em is the most popular game of poker in the world right now. People who have no interest in actually playing the game of poker even know the game by now because it's regularly shown on national television. Poker players are very familiar with this game as it is the most played casino and home game variation of poker in the world today. Each table plays out until only the winners remain and these players go head to head in another table. Each player receives two cards from the dealer (face-down). These cards are not shown to other players and can only be used by the player they are dealt to. 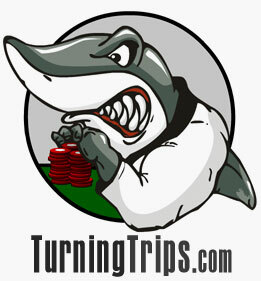 An initial round of betting occurs, with players able to check, raise, call and fold. After the initial round of betting ends, the dealer deals three cards face up in the middle of the table. These cards, known as a flop, can be used by all players still in the round to combine with their two personal cards to make a five card poker hand. Another betting round takes place. A fourth community card is dealt in the middle by the dealer. Like the three cards from the flop, this card can also be used by every player at the table in making a final 5 card hand. The fourth card is known as the turn. Another betting round takes place, with the minimum bet doubled from last round. The final community card is turned over, this one referred to as the river. One last betting round finishes the hand. The last player to bet shows their cards first, and remaining players can either discard their hands (muck) or show a better hand. (They can show a losing hand too if they're so inclined, but don't have to). The player with the best hand wins all the chips in the pot. In the event that two players have the same hand, the pot is split evenly amongst them. In Texas Hold 'em the cards you receive are purely based on luck, but the betting patterns you exhibit require skill and knowledge. There are four possible actions a poker player can make in any round of betting. They are all listed below. Fold - This is the action a player with a bad hand will take. If you don't like your hand you don't have to play it, you fold it and are done with the round. Check - If there are no prior bets that need to be called, a player can simply check and hope to see more cards for free. Call - If a bet was made by another player and you think it is worth the chips to see another card, then calling is the option for you. You will put the same exact number of chips as betted by another to match the bet. Raise - Instead of just matching a bet, you will put more chips in because either you feel you have the best hand or you wish to bluff at the pot.